Ade Kiddell's barbel rigs and rig preparation are second to none. Here's why. What makes the Korum Accessory Chair so special? Lots of things! Including our great range of accessories. What makes a Korum Accessory Chair great? Lots of things. Here's why Ade Kiddell chooses it for his river fishing. Andy Findlay shows you how to cast like him! 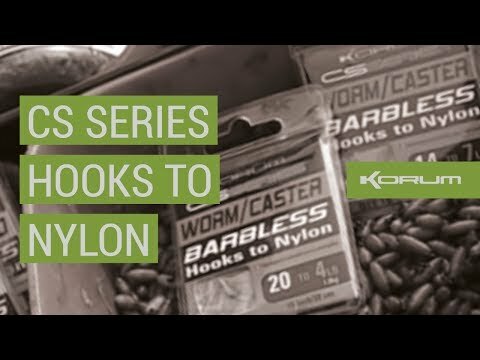 Nigel Botherway shows you why the CS Series hooks to nylon are so easy to choose from and fish with. Andy Findlay uses bright Band'ums and CS Series Power Band Hair Rigs. Here's why! Ade Kiddell gives you the edge with maggots! Ade Kiddell reveals his biggest ever hemp edge!